University Transit Service (UTS) at the University of Virginia's Department of Parking and Transportation is searching for reliable Part-time, Full-time and Student Transit Bus Drivers. 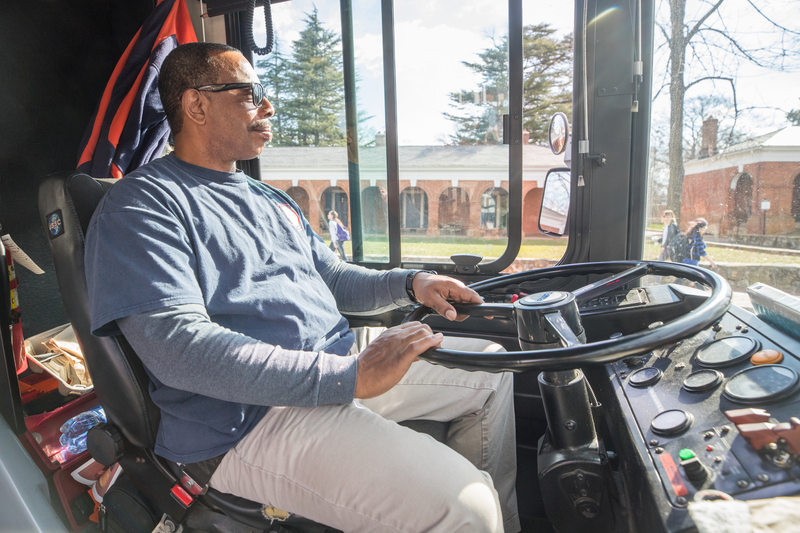 Transit Bus Driver works within the University Transit Service to provide transportation services to the University of Virginia Community. Duties include operation of a transit unit on a fixed route as well as transit operation in support of University-wide events. Click on "Search Postings" in the menu bar on the left hand side of the page. Once the Search Postings page has loaded, select the drop-down menu next to "Department". Parking and Transportation will be listed as "Department of Parking and Transportation" in the drop down menu.